which reminds me of Joseph Beuys‘ work with felt. It (teaching) is my most important function. To be a teacher is my greatest work of art. and that overall, he stands out as a truly unique artist. 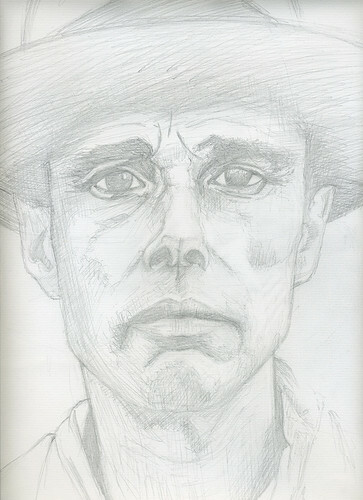 Joseph Beuys, logically, it seems, has become the subject of my latest portrait drawing.